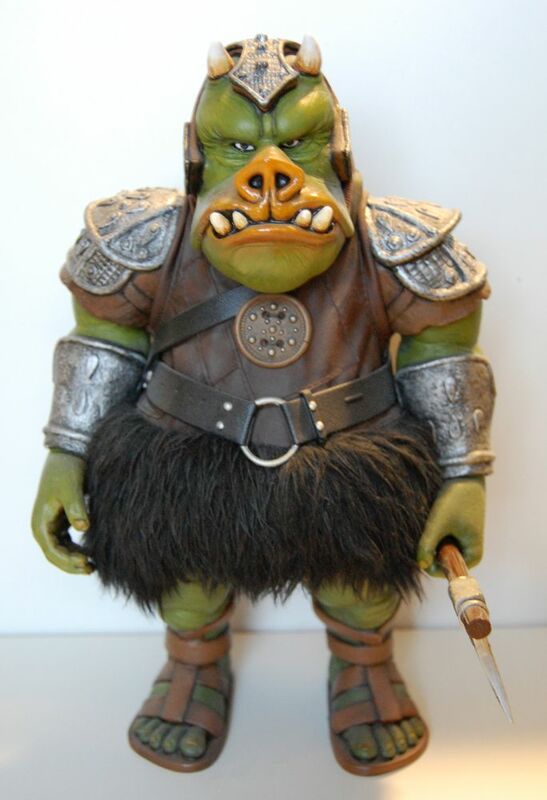 Continuing with our Gamorrean Guard theme, we have the 12″ Gamorrean Guard from Hasbro. I repainted this, because the original factory paint was pretty terrible. The hard part about repainting this figure is that they sewed him into his outfit, so you either have to remove some of the stitching in the back or paint around the outfit somehow. I did the former. I guess the sandals are supposed to be black, not brown, but I think I’ll just leave them like this. The figure itself is actually pretty nice. The sculpt is great. It’s basically a rotocast-type figure, so it’s got relatively little articulation. Just joints for the head, shoulders, wrists, and hips. But it’s functional enough. 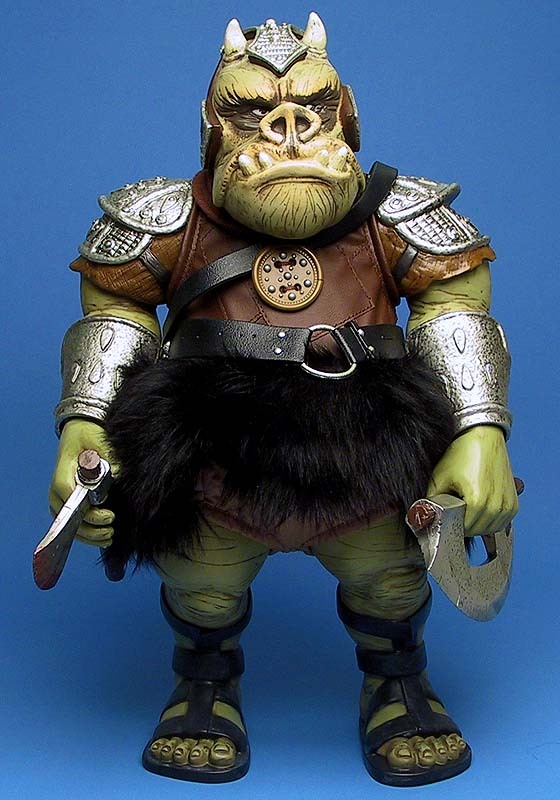 Until Sideshow’s version comes out, I’ll be using this in my Jabba display. And I may even use them both if they aren’t too different in size. 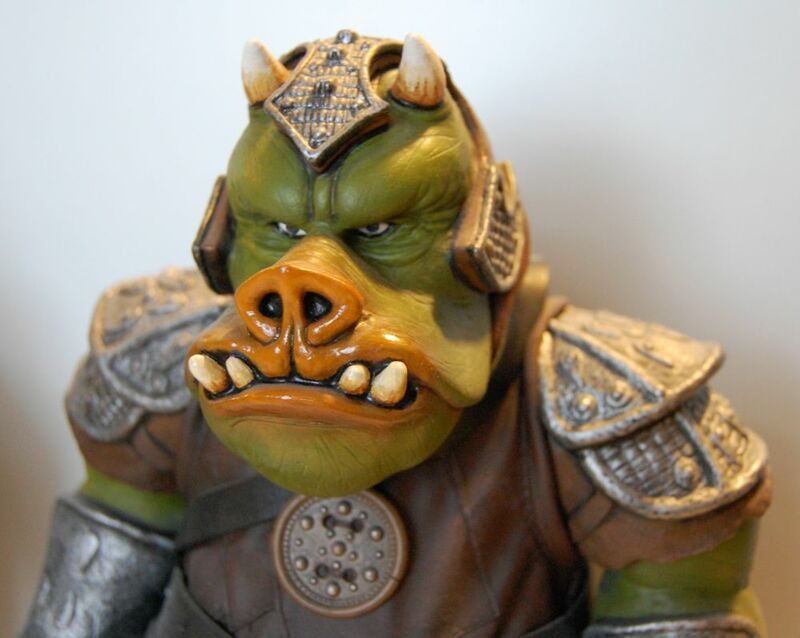 Super cool I just came across a loose one and am thinking of repainting it for my Gamorrean Guard focus collection. What paints did you use for this?